What are your five favourite buildings...? 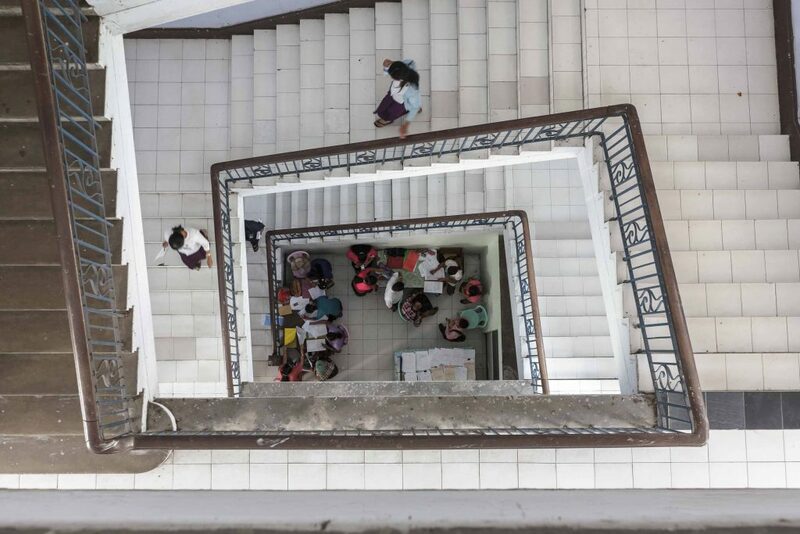 The City Hall displays a successful expression of Myanmar national character in a civic building design. It features a good composition of Myanmar traditional roof forms and decorative elements, for what was a novel type of building at the time. 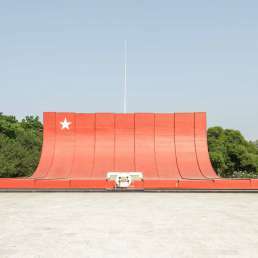 Architect U Tin designed the City Hall. After its completion, he received the title of “Sithu” (similar to a British knighthood) from the government. 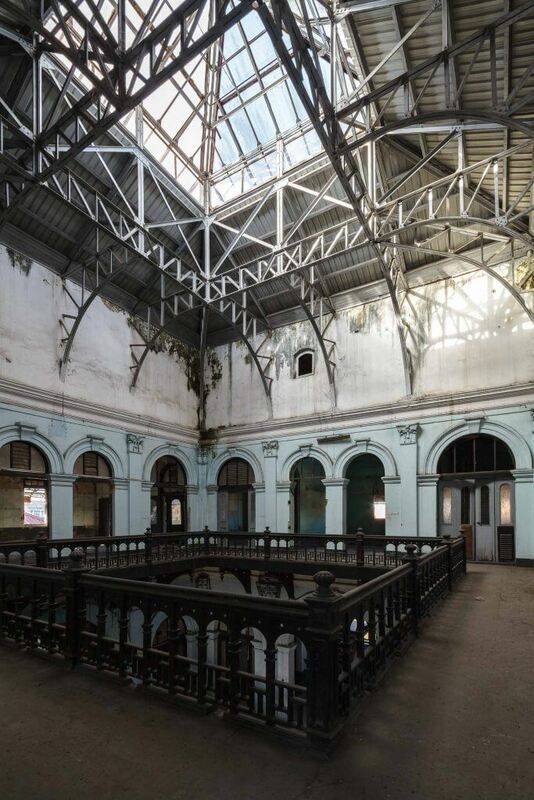 He only designed parts of the building; for the rest, he inherited a British colonial design, but was able to nicely articulate the two. 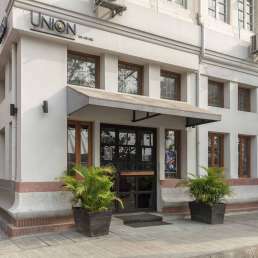 It has become an iconic building of Yangon. This was a totally new design, brought in by the British at the end of the 19th century. What was an “alien-like” structure at the time became popular and gradually accepted by a majority of Burmese people over time. 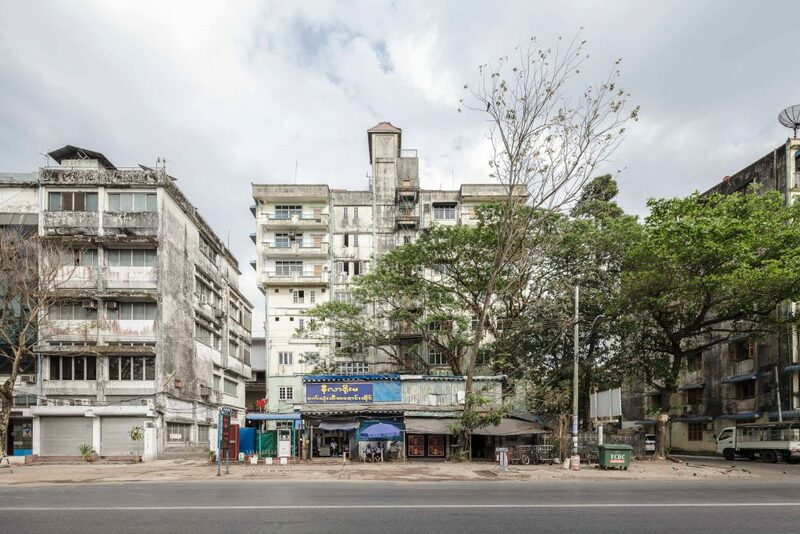 After a few decades, the building also became part of Burmese architecture’s history. 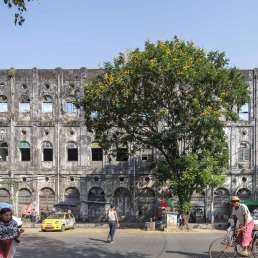 Now it is one of the best-loved buildings in Yangon, and acknowledged as one of the country’s cultural assets. 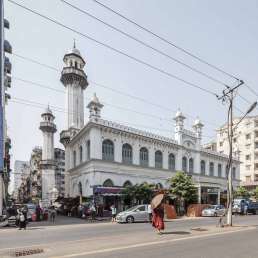 Religious and civic building designs of later periods in Burma were influenced by this good example of colonial architecture. This building is a successful, modern expression of Buddhist religious architecture in a new Buddhist library building design. A foreign architect designed it. 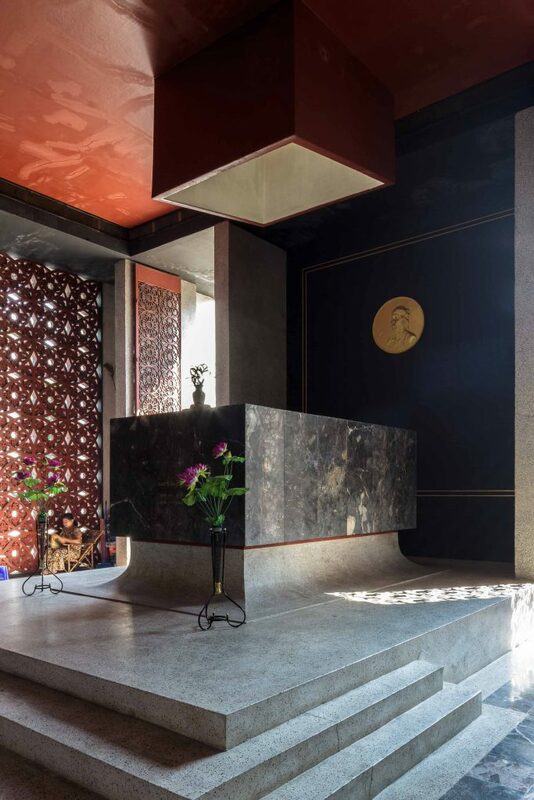 You can see how the architect improvised, or modified forms and decorations from traditional religious buildings. And yet this isn’t a re-interpretation, but a strongly traditional building. 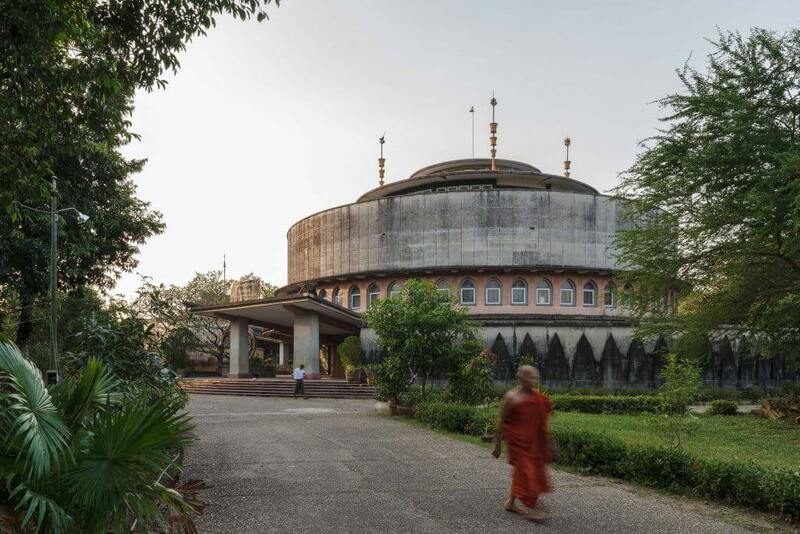 This is one of the best examples of progressive architecture design in the history of Myanmar architecture. It features simplified and modified traditional Myanmar design motifs. The basic form is pure and geometric. The daring use of deep red and gold in the interior resembles the traditional colour combination of Myanmar palaces. This is a good example of second-wave modern architecture in Burma, exhibiting a style that was popular in the late 1960s and 1970s. 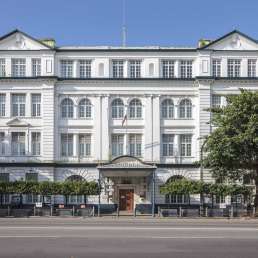 It flourished in the socialist period and the style can be seen in a lot of Yangon’s residences and in some large towns throughout Myanmar, thanks to the efforts of leading architects of the style, such as U Kyaw Min and Captain Kyu Kyaw.